Delizioso @ The Strand prides itself on its food. Executive Chef & Owner, Brad Nascone, has a great passion and knowledge of all things Italian. Brad uses his knowledge of Italian cuisine to create traditional and modern dishes with a mix of local of specially imported ingredients. Delizioso @ The Strand is open 7 days a week for Lunch and Dinner from 11.30am. Please note that all reservation times are in Queensland Times. Both the Lunch Menu and the A'la'Carte Menu are available during Lunch. 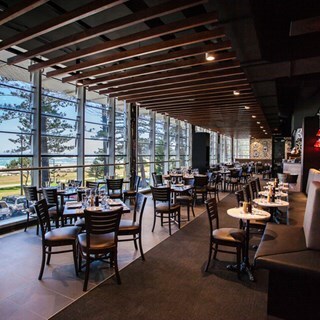 We also have 5 course and 7 course Degustation Menus that are available for Lunch and Dinner 7 days a week. All of our Menus are online for your convenience. Takeaway Menus are also available for your convenience. 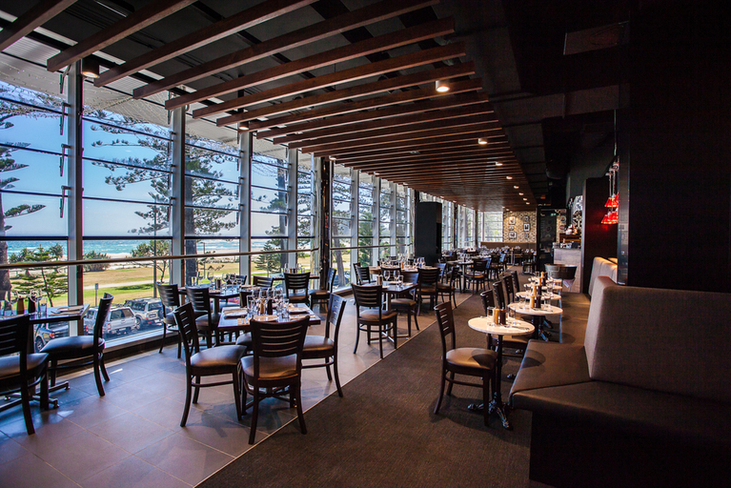 Delizioso @ the Strand have a number of Window Tables available with panoramic views of the Beach and Ocean and also of the Gold Coast Skyline. On Friday and Saturday Nights these tables are available for bookings at 5.00 - 5.30pm but we require your table to be finalized by 7pm. Further bookings are available from 7pm onwards. We do ask that if you wish to have a Window Table please book at your earliest convenience as these tables are in high demand. Delizioso means delicious in Italian... This is the inspiration behind opening Delizioso @ The Strand. Delicious ingredients sourced both locally and from interstate coupled with unique wines from Italy, Australia and New Zealand brings this Italian meaning to life in Bulimba. With a team of warm and friendly staff to assist you during your visit and a beautifully designed menu featuring a mixture of Italian favourites and new and innovative dishes to tempt your taste buds. A stained wood ceiling, warm colours throughout the restaurant, a selection of prints of Italy and a wine rack that any wine enthusiast would love to have in their home we will transport you to an Italian Trattoria.